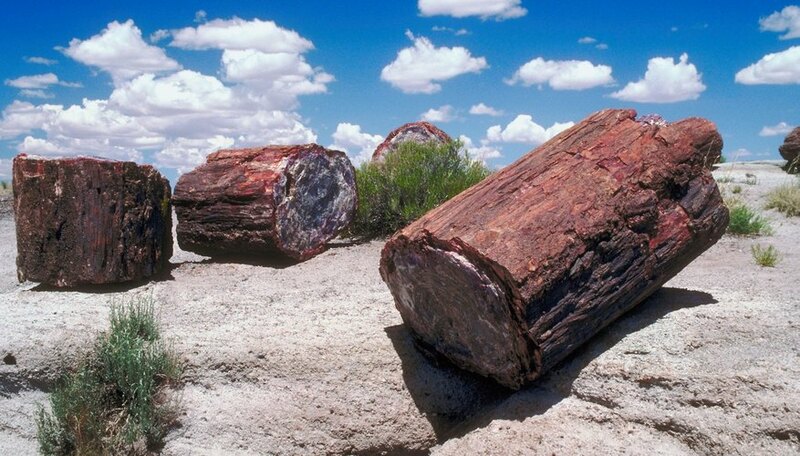 Petrified wood is common worldwide and the various colors signify the type of mineral replacement and depositional environment where the logs became fossilized. These rocks are very heavy, weighing 160-200 pounds per cubic foot. Use a diamond cutting blade on your wet saw, and for pieces of petrified wood, with diameters greater than 12 inches, you may need to use a custom-made saw that can accommodate the larger size.You can never be quite sure what you’re getting until you slice open a petrified wood log to reveal the intricate designs and colors inside. Use a wet saw that will accommodate the size and thickness of your petrified wood log. Some fossil shops, such as Marks Petrified Wood, use custom-made motorized saws, while others use large-scale rock cutters fitted with diamond blade saws. Position your wet saw to accommodate the heavy load of petrified wood. Use it on the ground level or bring the rock specimen onto the cutting plate. Clamp the specimen in place according to the design of your saw, and level it to ensure an even cutting surface. Mark off the external surface using a dark semipermanent felt pen, to show the thickness of each slice. Make uniform slices or choose to cut several different widths. Use a heavy, sharp saw blade, such as a diamond saw blade. Check that it is sharp, and replace or sharpen it as the cutting process starts. Turn on the wet saw and make sure the water pump is operational. If water isn’t pumped through while cutting, the equipment could stop working and be damaged. Place the cutting blade onto the rock and start cutting. Use an even amount of force as you guide the blade to cut the petrified wood. Know the time limitations for operating your rock saw, and allow it to rest to avoid overheating, if applicable. Reposition the log to make subsequent slices and repeat the cutting steps. Wear safety goggles when operating a rock saw. Do not allow distractions when working with a wet saw. Petrified wood rates a 7.0, very hard, on the Mohs scale. Petrified wood is formed when individual plant cells are slowly replaced with silica or other minerals in a process called permineralization. Petrified wood bark may appear crumbly and broken, but it is a hard rock attached to the core. What Types of Rocks Do You Need to Make a Fire? Moseley, Erin. "How to Cut Petrified Wood Into Slices." Sciencing, https://sciencing.com/cut-petrified-wood-slices-8711043.html. 24 April 2017.